With the holidays quickly approaching, what better time is there to get informed about how to throw a holiday-themed wedding. 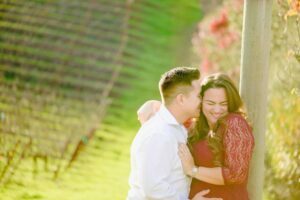 It is one of the most romantic times of the year and surprisingly, the winter season is considered to be one of the least popular ones to get married in, therefore, many wedding venues offer special offers and promotions during this time which means it is the perfect time to take advantage! One of the first things that comes to mind when one thinks of the holidays is snow and cold climates. 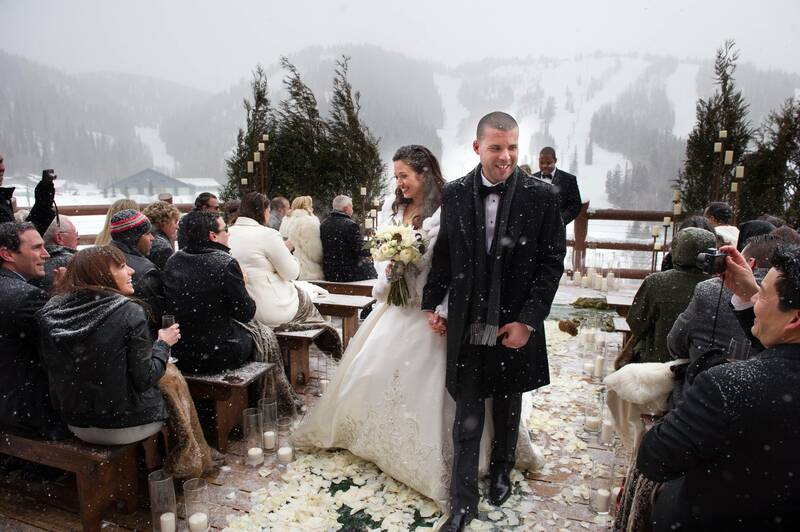 Why have a destination wedding in the Caribbean during this time of year when you can enjoy a winter wonderland instead? Great locations for the winter season within the U.S. include: New York, Colorado, Washington, Virginia & Utah. 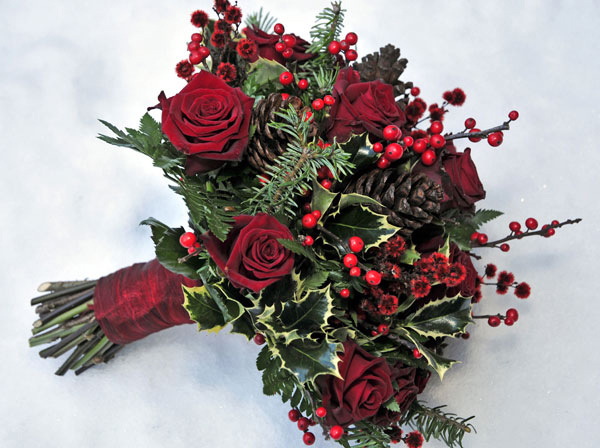 Holly, mistletoe, and poinsettias define the holiday season, therefore, what other perfect time is there to incorporate these flowers into your floral arrangements. You can also keep the theme going by including pine cones/branches, mini Christmas trees, floral wreaths, fake snow, etc. Keep the winter wonderland festivities going by spicing up your menu with various holiday themed desserts and beverages. Eggnog is an excellent beverage option for adults. For the non-alcoholic options you can offer some hot apple cider and cranberry wassail. For a real treat you can make a hot chocolate bar to give your guests a chance to create their own unique and delicious hot beverage for the night. Give the guests a variety of topping options such as marshmallows, candy canes, and chocolate chips to really give it a personalized feeling. Holiday themed desserts such as fruit cake, peppermint patty, and gingerbread cookies are also a great option to spice up the menu. The wedding favors are an important piece to the experience as it is something that your guests can take away with them to remind them of your special night. This is a great chance to give something personal such as a personalized Christmas ornaments or your own hot cocoa mix. Winter themed bottle toppers and candles are also an excellent option for a Holiday Themed wedding. There are many different ways to add a hint of Holiday cheer to your special day so have fun with it and find what suites you best. Remember these key points when considering a Holiday Theme and you’ll be sure to pull off a memorable night. 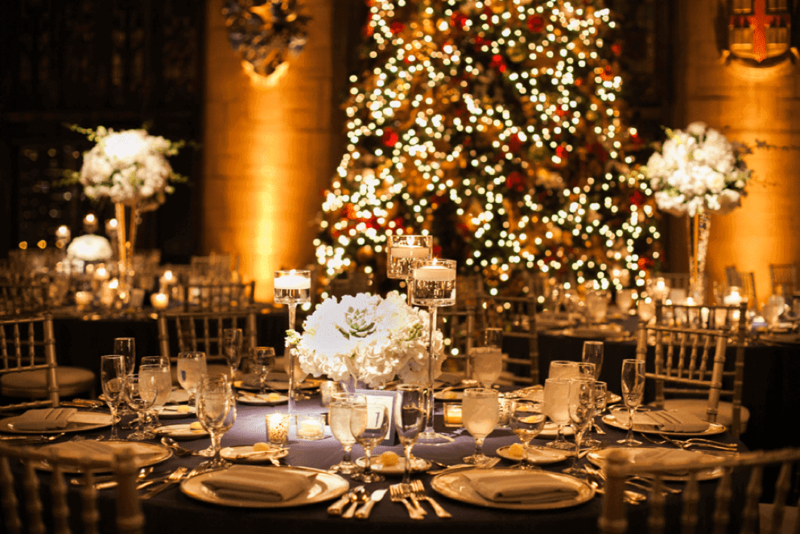 After all, what better way to ring in the New Year then with the perfect Holiday Themed Wedding?